Day 15. 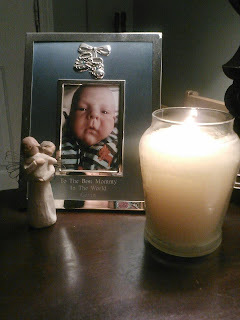 WAVE of LIGHT- October 15th Pregnancy and Infant Loss Remembrance Day. The goal is that everyone at 7 pm, whatever time zone you are in, light a candle in memory of our angel thus creating a "Wave of Light." I told my family to light a candle. I did at exactly 7:00 pm EST. I was watching the clock and was just about to take out my new puppy when I realized the time. I lit my candle at 7 'oclock on the dot here is my picture and what I wrote along with it. feel it in Heaven. To mother an angel is one of the hardest jobs. Gavin will never be replaced and will always be with me. As his brother's birthday draws near I can't help but wonder what it would be like for them to get to celebrate together. Not a moment goes by that I am not thinking of him. I love everyone I've met along the way, although I wish it was under different circumstances. You are beautiful, wonderful, strong, women. Thank you for your support, love and for always being there. I love you all. I love you too Gavin and always will. I will never stop talking about you or "get over your death". As I always say until we meet again baby boy my heart will not be whole. 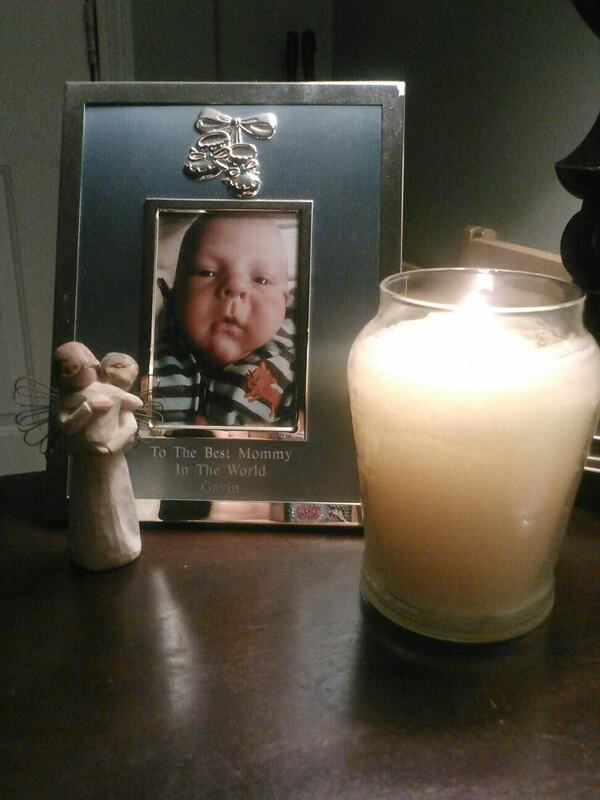 I hope you've made many baby friends in Heaven as I have bereaved moms. "You are my sunshine" love you baby. To those reading this I hope you can educate yourself a bit about how many of us there are and how deep we hurt. If you haven't walked in someone's shoes you can not know how they truly feel."